On Tuesday 12 July, Women in Tech Africa held its very first meetup event in Ireland in Dublin centre, under the theme: “Women in tech: Leveraging off our potential to make a meaningful impact“. Sponsored and hosted by DogPatch Labs, an organisation which serves as a hub for technology meetups and a co-working space for growing tech startups, the event was organised in partnership with House of Akina, a social-enterprise that uses its profits to empower and support migrant women in Ireland. The event was attended by professionals as well as students, coming from a range of technology and non technology-related backgrounds, comprised of data analysts, network & telecom engineers, software developers as well as people from a tech background who evolved their careers into business management. Sessions began with a presentation of Women in tech Africa which highlighted the organisation’s mission and vision, and ongoing activities to empower women in tech in Africa involving also women in tech in the Diaspora to contribute to Africa’s advancement through technology. What is our potential as women in tech in the African Diaspora? What is holding us back to bring in our contribution? How can we make a difference ? How technology can assist in achieving that? The Diaspora contribution should not be limited to financial remittances. Our experiences in tech and skills can be used to complement ongoing actions by people in Africa. Working together is the key, together we are stronger and we can achieve great things. Meetups are an opportunity to make connections and be complementary in our potential actions. Technology being one of the key drivers of Africa’s growth currently, leveraging off our expertise as women in tech to make a contribution through technology is essential. The challenge for African Diaspora women in tech is to be aware of the changes ongoing in Africa when we are not physically present there. It is essential to initiate collaboration and partnerships with local organisations/tech innovators/women in tech to understand the needs and how our contribution can come in support is essential. Discussions continued during a networking session around food and drinks kindly offered by the event sponsor. The event was a great fun and the participants’ feedback were positive and encouraging. 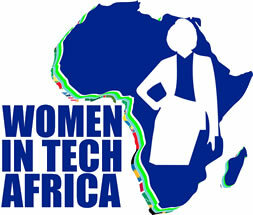 As noted one contributor : ” tomorrow starts now” for the women in tech Africa chapter in Ireland. A coding workshop is being organised in the weeks to come, and another meetup in the last week of September during the Women in tech Africa week.